The following was shared via ‘Facebook’ (FB) by someone who belongs to a ‘sister group’ of one of the FB brain injury groups that I am a member. “Brain Injury leaves our ‘battery’ damaged. Sometimes it takes a great charge and we have lots of energy for a while. Other times it takes no charge and we’re dragging, barely able to move. 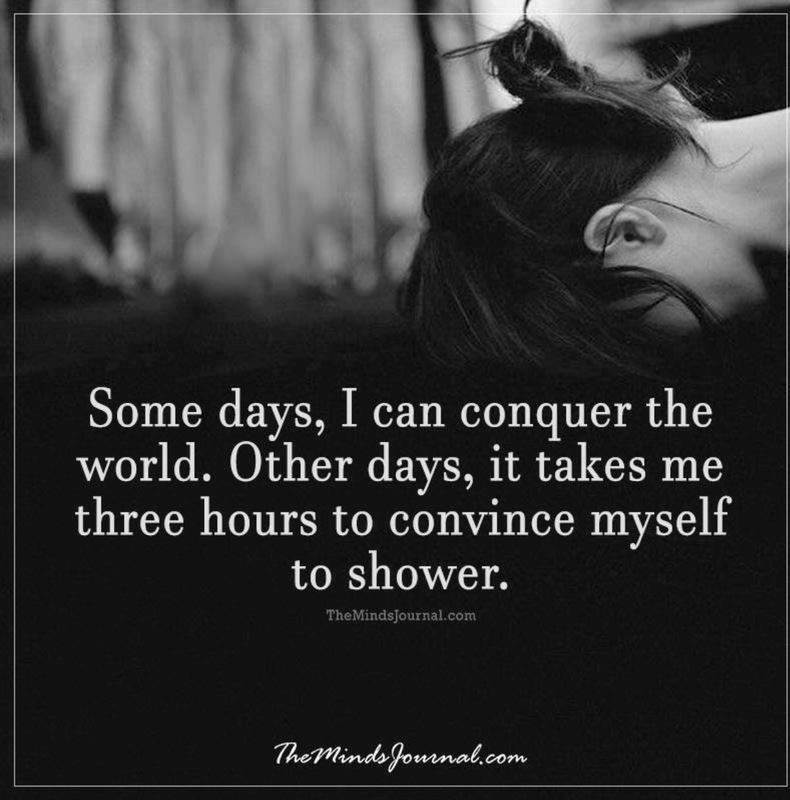 It is as if I must prepare my brain for the intense concentration that is required for me to do something as “easy” as taking a shower. My parents, Artie; and also, my partner, James, will attest to this. It is quite a normalization for my mind to become exhausted with “simple” things. Such as; socializing, going out to dinner, or attending a movie/concert. I once was able to accomplish several things in one day…or even in half a (work)day’s time. I use to be employed as a morning-show producer on a local radio station, and the station was an hour commute by car from my home. I would drive to work at 3-4AM; do all of the things required for the day’s broadcast; go on-air with the morning-show team for 4 hours; then, after our live broadcast, I would go into my office and complete all of the things required to have a successful radio show, such as: make numerous phone calls, interact even more via E-mail, produce a “spot” for the morning show team to be aired on our station, DUB syndicated spots into the radio station’s library, and sometimes “voice track” my own 4-6 hour radio show; along with multiple things I have not mentioned due to my fear of boring you more and making you go look at Internet pictures of cats. Also, I would drive to that same station on the weekend and do at least one, live broadcast of my own. Not to mention, I would attend live appearances with that the morning-show team or even my own show was involved. I was able to accomplish all of those within a day, while still having a booming social life. A social life that included going out almost daily/nightly with friends who worked with me at the station; having a boyfriend who was an hour’s drive away from where I lived, and also where the radio station was located. Later on, when the boyfriend I previously mentioned and I broke up, I began dating a guy who lived 10-20 minutes from the station. I would spend a lot of time with him, too. I was able to handle all of these things within a day…then the brain injury occurred. Now, I am lucky to be able to feel energized enough to go to Walmart and also the grocery store in a single day! I have always preferred sleep…nowadays, I NEED to sleep. The more I’m required to think about something, the more crucial it becomes for me to have a well-rested mind. For example; preparing dinner, is something that fatigues me greatly. I’m determined to be as “normal” of a housewife as possible, so I have fought against the tiresome feeling for years, and now I am able to cook, and clean up the mess after eating and not immediately having to get into bed (yes, many times, I am so tired…but, I persevere through it)! Albeit, it has been at least 5 years (or more) since I required at least one nap during the day; I am still able to be “pooped out” much more rapidly than my counterparts. Any action that requires thinking is tiresome for me; so, that being said, as everything requires thinking, I am constantly tired. I’ve found that the less strenuous the activity, along with the less “seriously” I must think about something while participating in the activity; I do not have to take nearly as many naps in one day as I once did. Twelve years post-injury, now, I rarely nap. “Think(ing) about something” can be as mundane as; ‘cleaning our home, and getting the laundry washed, dried, folded, ironed, and put away’ to ‘following a schedule where things must be completed by a specific time of day.’ I am unable to do more than one thing in a day. Such as, going grocery shopping and going to pick up items at Walmart. I sometimes can do both shopping trips in one trip; which makes life simpler because a “real” grocery store is at least 25 minutes away (there is ONE, tiny, supermarket in the incredibly small town in which we reside-it is only 4-5 minutes from our home). A couple of years after I was released from the hospital; I enrolled in a college that was around 20-25 minutes drive a way from the home I shared with my parents. As I was not driving a vehicle of any kind, yet; my Mom (or my Dad on the rare occasions he was not at work) lovingly drove me to and from classes. After I attended the one hour class for the day; my Mom would drive me home, and I would promptly take a nap. I eventually was able to up my course load to three classes per day, and I would definitely nap after I was driven home then. Napping is common among teenagers/twenty-something’s that attend college, but for much different reasons. Whereas, the young adults would more than likely have studied all night/partied all night the morning before class, my brain was exhausted from problem solving and concentrating. While I was in college; I did not have friends that I hung out with outside of class. I had friends in the classroom setting, but I never tried to socialize outside of school because I could not be pre-occupied by anything. Yes, that made me feel somewhat like a loser many times; I did not even attend the games that my classmates played on the University’s sports team. I studied pretty much non-stop, as I quickly learned was something I had to do to make sure the new information that my brain learned was able to be recalled–especially, come time for exams. This entry does not really have a purpose…I just found that “meme” to be one with which I connect greatly. Therein lies the reason for this entry; I simply felt like highlighting that other’s understand the difficulties with which I encounter. It is quite refreshing to be truly understood. We thought you said “Eggs are sides” not EXERCISE; what a lousy trick, HuMommy.